The next day, after I unpacked my “travel essentials” into his empty mirror cabinet I posted a shelfie. He saw it an erupted in laughter so hard I swear he was crying. “I don’t know why her bag is so heavy, she says.” He mocked me mercilessly, and somewhat deservedly for the rest of the weekend. I don’t know when glass bottles replaced plastic. Or when I realized I started packing only one pair of shoes so that I could bring roughly 15 pounds of beauty products with me. I just know that I couldn’t lift my carryon myself on my return flight. Which got me thinking - what would my desert island product be? After the panic attack subsided, I realized that barring my excessive and obsessive face routine, there was one area that I have become exceptionally paired down. Check out the shelfie for yourself, and you might be able to guess. When it comes to my hair and body I really only need one thing. That thing is a sweet smelling, deeply hydrating oil. 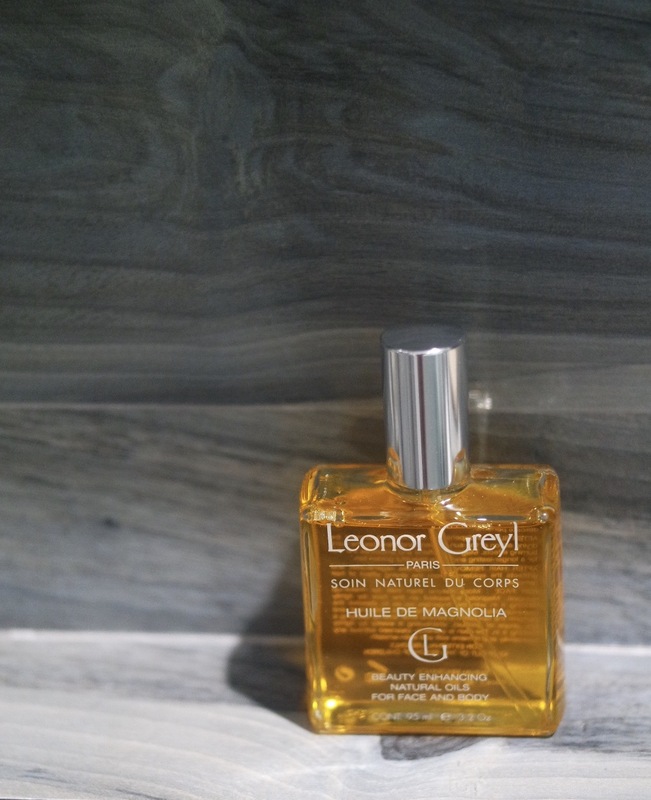 That oil - if forced to pick just one - would be this Magnolia oil from french brand Leonor Greyl. Now a different version of it is available from Violet Grey, and I like it. Enough to understand why it's constantly sold out. But something alchemical happens when I apply the magnolia oil to my skin and hair. The strong scent melts, becoming a sweeter version of my own fragrance. Almost as if it’s something my body just emanates. It’s both powerful and subtle. It also doesn’t hurt that I ran into a friend of my host’s at the beauty store. She, a stunning French singer with a totally effortless beauty who both times I met wasn’t wearing a stitch of makeup and looked flawless, was on this trip accompanied by an equally stunning friend, of French/Iranian heritage (I was later told she is, in fact a princess) who’s introduction included that when it comes to product she is the guru. So while the princess walked around the store recommending a stunning array of products to her friend (in french) I sulked behind them plucking the same items and depositing them in my cart. It was like being inside an ITG article. This oil was one of her picks. My friend the makeup artist hugged me a half hour later and immediately complimented my butter soft skin. Needless to say I have no regrets. I've been coveting this oil since last summer, AND I think it's high time that I order it!